Top 3 expertise for you by Foundry Solutions Metallurgical Services Inc. Wherever you work on our beautiful planet, let’s start a win-win business relation together in 2016 ! Here are our three main clients’ profile. How do they cash into our expertise at Foundry Solutions Metallurgical Services Inc. ( SF ) ? But first, what is SF ? In nutshell, we collaborate with mechanical designers outside of the foundry industry. Among other things, casting process understanding must be included in the design phase to avoid bad news. We help designers evaluate if and which of their current parts would be well suited to be manufactured with a casting process. And recommend the best casting process for their needs. We then make sure the design is adapted to the casting process. We also audit and source foundries to find the best for a given part. Ideally, we work with the selected foundry to follow the manufacturing process and controls required on casting parameters. This allows for a win-win-win business model : designers win, SF win the foundries win. This article by Harvard Business review ( click ) underlines the need and trend for companies using more and more freelance experts, for instance freelance metallurgists like us at SF. SF train your operators and supervisors on the casting process so they understand and love their work on the foundry floor. They then add a lot more value to your process. It’s all about the people ! 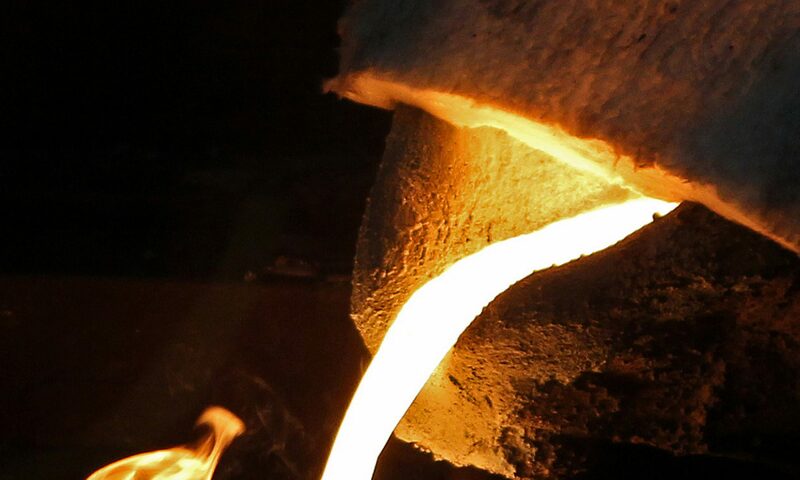 Our expertise on casting process control is essential to any foundry. We focus on root causes for a stable casting process producing consistent castings. SF metallurgists can typically take charge of a given process improvement project at your foundry or join your team to work with them on demand. Let’s work together to sustain your growth. Here are three tool / equipment we distribute. More foundry tools and equipment coming soon by Foundry Solutions Metallurgical Services Inc.
Next week, phase 1 of our casting defect app for mobile phones will be ready for you to download on Google and Apple store. This test version will be free for a limited time. The goal is that casting metallurgists like you from around the world can tell us what you like and don’t like about it. Then, we will be able to tune the way we present the content and how much content we display, etc. That’s precisely one of the challenge : find the sweet spot between too little content for casting defect solutions and too much so the app becomes too heavy to handle on-the-go. Phase 1 will be more focused on ductile and grey iron. Phase 2 will be ready by September 2016 and will allow you to collect, archive and use the casting defect data for process improvement, all from the foundry floor. MeltLab allows you to measure your melt properties before you pour your castings. This is one easy-to-use tool to decrease your scrap rate efficiently. MeltLab is the leader, best thermal analysis system of the industry. And we’re not saying this as salesman, but as foundry metallurgists. Click here for more details on MeltLab. We have a demo system in Canada so call us for a free demonstration with your melt at your aluminum, iron or steel foundry. You’ll win a lot to understand the 2016 advances in thermal analysis by Meltlab. SF is the Canadian agent for SOLIDCast, FLOWCast and OPTICast. Whether you already bought the software and want additional training or need casting simulations à la carte, SF casting process engineers will be happy to help you further reduce your manufacturing cost for all alloys. We can work with designers worldwide. In the next article, we will ask for your help and if you like, we’ll suggest how we can start cooperating together to make the casting defect app a very useful tool. Again, download ready for next week for free for a limited time during testing. Dozens of foundrymen like you from around the world shared their interests and approved this innovation. We thank you for your support, it’s awesome ! Stay tuned , and follow us on Linkedin ( click ) today ! Previous PostPrevious What is shrinkage casting defects ? Let’s talk porosity casting defect at SF booth# 2822 during CASTEXPO 2019 ! How to Repair your Casting Defect ? Use ATOMWelding machine.